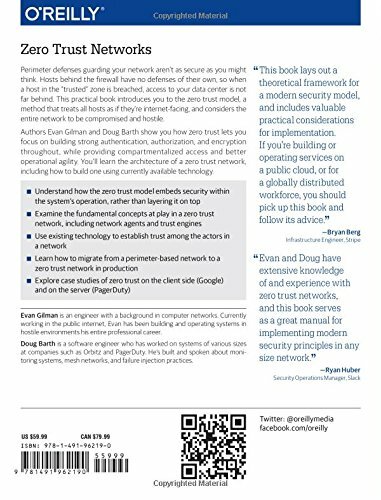 Perimeter defenses guarding your network aren’t as secure as you might think. Hosts behind the firewall have no defenses of their own, so when a host in the "trusted" zone is breached, access to your data center is not far behind. This practical book introduces you to the zero trust model, a method that treats all hosts as if they’re internet-facing, and considers the entire network to be compromised and hostile. 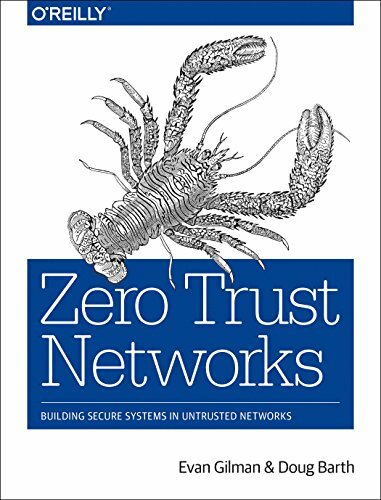 Authors Evan Gilman and Doug Barth show you how zero trust lets you focus on building strong authentication, authorization, and encryption throughout, while providing compartmentalized access and better operational agility. You’ll learn the architecture of a zero trust network, including how to build one using currently available technology.